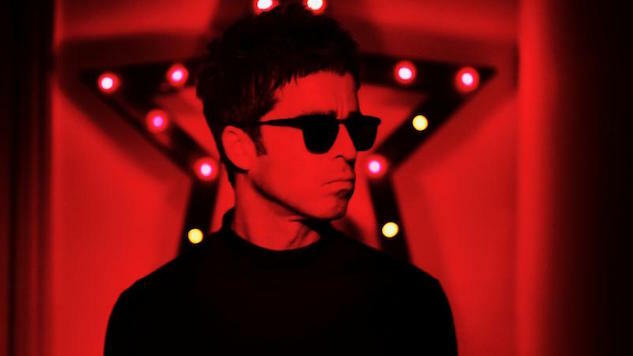 Noel Gallagher has released the music video for “It’s a Beautiful World,” the second single (following “Holy Mountain,” released in October of last year) off the band’s third studio album, Who Built the Moon?, released on Nov. 17, 2017 on Sour Mash Records (and making it to Paste’s list of that month’s best albums). The conceptual music video for “It’s a Beautiful World” features Gallagher playing with his High Flying Birds between fast-changing images of planet earth, juxtaposed with violent scenes of death, decay and floating bubbles of cola. The song ends with a French spoken-word segment inspired by Gallic art-house cinema. The track had so much space and was feeling great. After Noel wrote the song he asked me about getting a French vocalist to do some kind of spoken word, so I called my friend Charlotte Courbe and played her an extract from a French short film that I always loved and wanted to borrow from. She then produced an astounding piece of writing that contrasted Noel’s song and music so beautifully. Noel Gallagher’s High Flying Birds have also announced their huge “Stranded On the Earth World Tour,” which begins Feb. 9 in Detroit, Mich. at The Cathedral Masonic Temple. This world tour introduces many new performers, including Gem Archer on guitar, ex-Oasis drummer Chris Sharrock, and two background vocalists who will debut alongside Gallagher for the first time ever, Charlotte Marionneau of Le Volume Courb (who famously plays the scissors) and Ysée.